Having skipped the Cheltenham Festival with Tout Est Permis, Meade is eyeing the €500,000 prize (for which he is a 16/1 chance) for the six-year-old, unbeaten in his three starts for the Meath trainer this season. 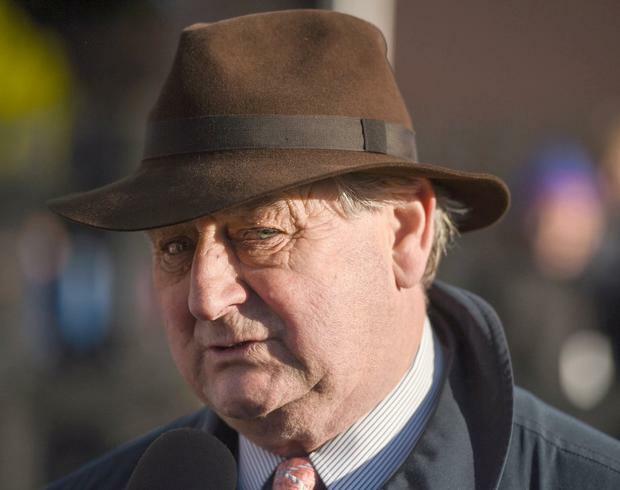 "He travelled well in the Troytown and won very well, but he's gone up a good bit since. He's in terrific shape and we're very happy with him." Another six-year-old with leading claims is Paul Nolan's Discorama (10/1) - a close second in the National Hunt Cup at last month's Cheltenham Festival - but the trainer has warned that he may not take his chance if the ground hardens before then. Ted Walsh's Any Second Now (7/1) - an easy winner of the Kim Muir at the Festival - and Willie Mullins' Pairofbrowneyes (8/1), a faller when favourite in the race 12 months ago, vie for favouritism in the Fairyhouse feature. Meanwhile, Jessica Harrington is hoping for a repeat with Supasundae as the Aintree Hurdle hero bids for back-to-back victories in next month's Punchestown Champion Hurdle. "Supasundae has come out of his race in Aintree really well, and the plan now is to go to Punchestown. He's only entered in the Champion Hurdle, so I wouldn't be tempted to run him over three miles," she said. Elsewhere, action on the level is the focus today where the three-day Craven meeting kicks off at Newmarket with Aidan O'Brien's Western Australia the sole Irish representative at an intriguing meeting. While unable to get his head in front in his last four runs, the son of Australia has some impressive placed form to his name - third in the Group One Futurity - and is expected to take all the beating under Ryan Moore in the Listed Feilden Stakes (3.0).